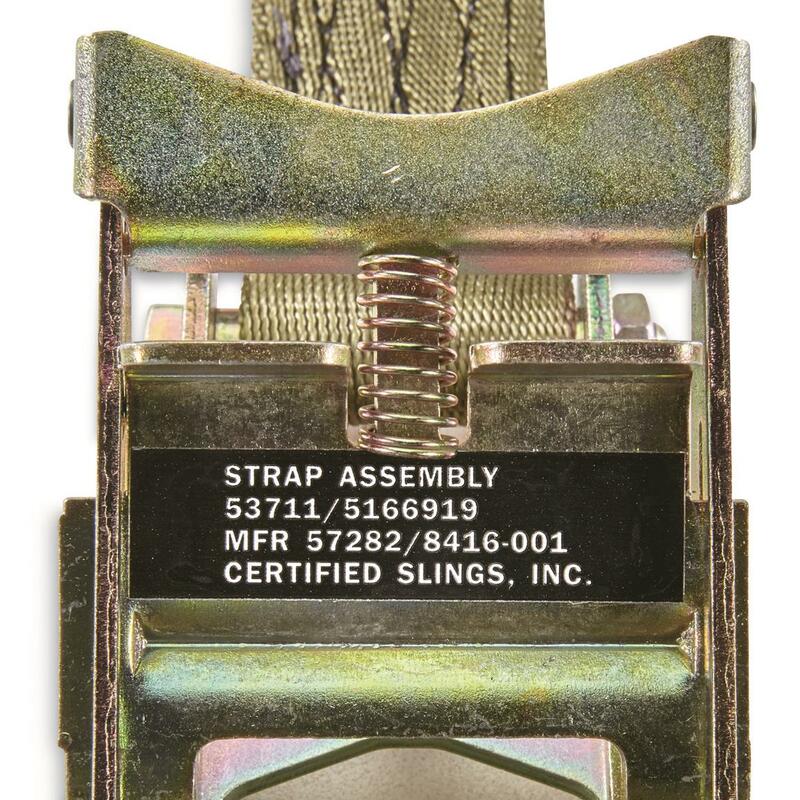 Made in USA by Certified Slings, Inc. 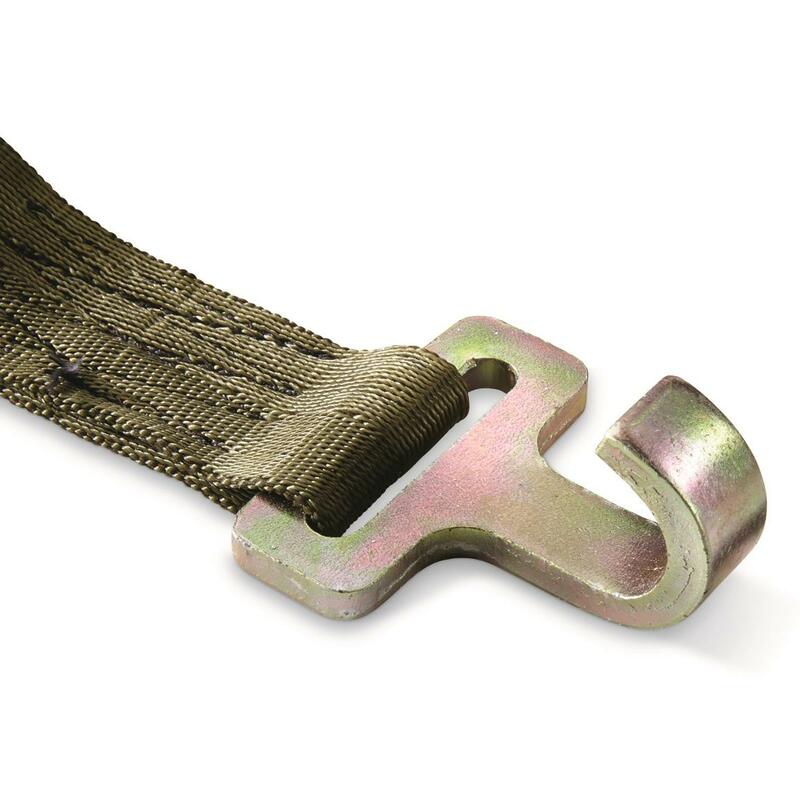 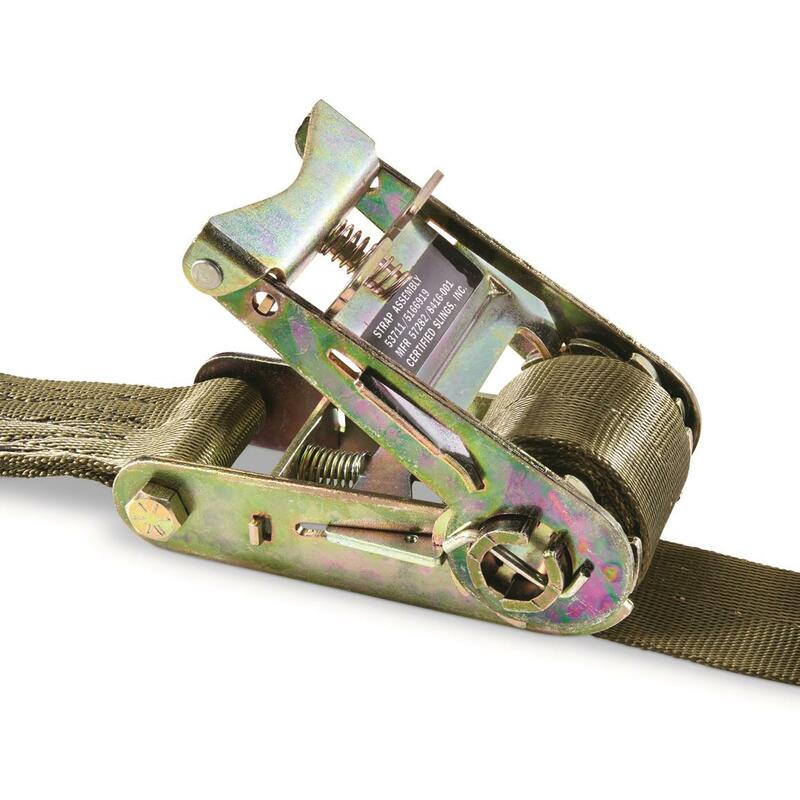 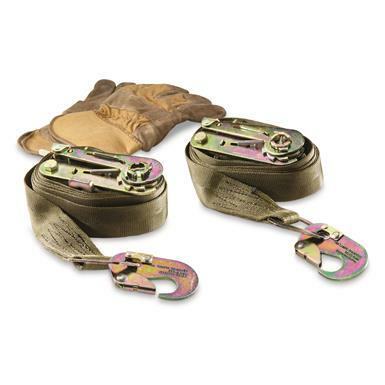 Easy-to-use U.S. Military Surplus Ratchet Straps make tying down your precious gear fast and simple. 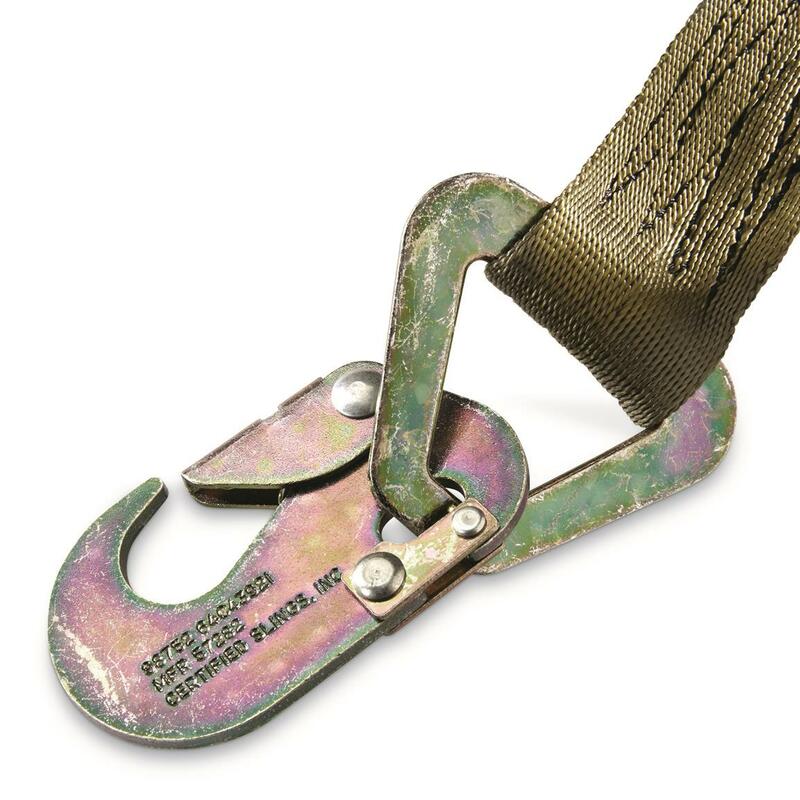 Originally designed for securing cargo aboard massive aircraft, now ready for a new assignment around your truck or shop.